While exoplanets make the news on an almost daily basis, one of the biggest announcements occurred in 2012 when astronomers claimed the discovery of an Earth-like planet circling our nearest neighbor, Alpha Centauri B, a mere 4.3 light-years away. That’s almost close enough to touch. Of course such a discovery has led to a heated debate over the last three years. While most astronomers remain skeptical of this planet’s presence and astronomers continue to study this system, computer simulations from 2008 actually showed the possibility of 11 Earth-like planets in the habitable zone of Alpha Centauri B. Now, recent research suggests that five of these computer-simulated planets have a high potential for photosynthetic life. The 2008 study calculated the likely number of planets around Alpha Centauri B by assuming an initial protoplanetary disk populated with 400 – 900 rocks, or protoplanets, roughly the size of the Moon. They then tracked the disk over the course of 200 million years through n-body simulations — models of how objects gravitationally interact with one another over time — in order to determine the total number of planets that would form from the disk. While the number and type of exoplanets depended heavily on the initial conditions given to the protoplanetary disk, the eight computer simulations predicted the formation of 21 planets, 11 of which resided within the habitable zone of the star. A second team of astronomers, led by Dr. Antolin Gonzalez of the Universidad Central de Las Villas in Cuba, took these computer simulations one step further by assessing the likelihood these planets are habitable or even contain photosynthetic life. The team used multiple measures that asses the potential for life. The Earth Similarity index “is a multi-parameter first assessment of Earth-likeness for extrasolar planets,” Dr. Gonzalez told Universe Today. It predicts (on a scale from zero to one with zero meaning no similarity and one being identical to Earth) how Earth-like a planet is based on its surface temperature, escape velocity, mean radius and bulk density. 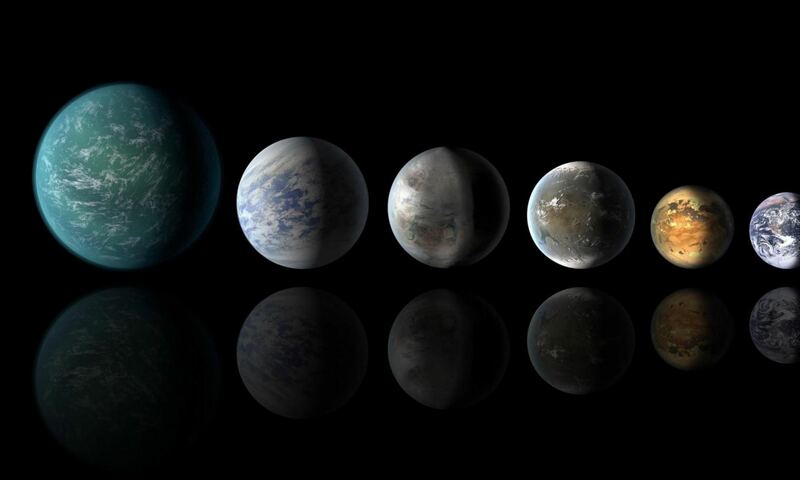 Planets with an Earth Similar index from 0.8 – 1 are considered capable of hosting life similar to Earth’s. As an example Mars has an Earth Similar index in the range of 0.6 – 0.8. It is thus too low to support life today. However, the Earth Similarity index alone is not an objective measure of habitability, Gonzalez said. It assumes the Earth is the only planet capable of supporting life. The team also relied on the P model for biological productivity, which takes into account the planet’s surface temperature and the amount of carbon dioxide present. Gonzalez’s team found that of the 11 computer-simulated planets in the habitable zone, five planets are prone for photosynthetic life. Their Earth Similarity index values are 0.92, 0.93, 0.87, 0.91 and 0.86. If we take into account their corresponding P model values we find that two of them have better conditions than Earth for life. According to this highly theoretical paper: if there are planets circling our nearest neighbor, they’re likely to be teeming with life. It’s important to note that while these indexes may prove to be very valuable years down the road (when we have a handful of Earth-like planets to study), we are currently only looking for life as we know it. The paper has been published in the Cuban journal: Revista Cubana de Fisica and is available for download here. For more information on Alpha Centauri Bb please read a paper available here published in the Astrophysical Journal. Main news here is, ‘publish or perish syndrome’ is as prevalent in Cuba as it is elsewhere? These are not the planets you’re looking for. Move along! Not to complain…well, not too much anyway…but you should explain that the ’11 computer-simulated planets in the habitable zone, with five planets of these prone for photosynthetic life’ all didn’t occur in just one simulation. Some folks reading this will erroneously take that notion. Along with that, it would have been nice to know the total number of simulations it took to get these 11 habitable, Earth-like planets. The idea of the paper, while interesting, seems to be so speculative that it diminishes its value. You could apply this same process to evaluate any proposed planetary system and come up with likely candidates in the habitable zone. Next PostNext What’s At The Center Of Our Galaxy?